To me, the Best Cocktail Recipe Books do more than just give you basic ingredients… they tell a story about the cocktail. Face it, if all you want is the recipe, there are 92,700 recipes out there. But, if you want to know more, these are the cocktails recipe books you want. Besides, if you think about it; the best bartenders always have a story, and it follows that the best cocktails have one too. So, go ahead and mix up that Mai Tai or Manhattan… just know that if anyone asks, you can tell them a little anecdote about the drink they are imbibing. Pour yourself a Sidecar (my personal favorite) and settle in to a comfy chair with one of these, the best Cocktail Recipe books I know! 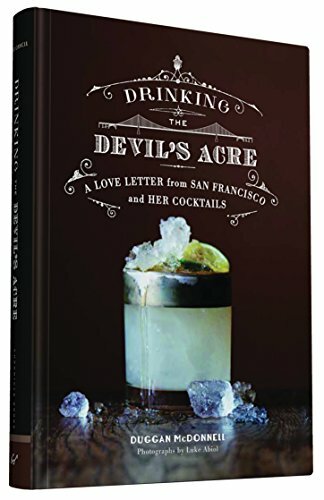 Drinking the Devil’s Acre: A Love Letter from San Francisco and her Cocktails has to be one of my favorite cocktail books of all time. Could be because I really enjoy visiting Adult Drinking Establishments in San Francisco… but it’s also because it’s such an engaging book! Part history, part sociology lesson, and a huge part booze. San Francisco (and the surrounding area) was the birthplace of 25 of the most iconic cocktails on the menu. The Pisco Sour, The Lemon Drop, Irish Coffee… and of course, my favorite, the Sidecar. Cocktail culture is strong in the city to this day. Author Duggan McDonnell clearly knows his cocktails, and he weaves together a fabulous tale to present the recipes. A great gift for anyone in the San Francisco Bay Area, or anyone who loves cocktail history! Mixing a proper Cocktail is a bit like Alchemy… you’ve got to have the ingredients, and you need to understand how those ingredients work together. It’s not enough to just pour some booze in a glass… the correct order, the correct temperature, even the right ice affect the outcome. Tristan Stephenson took his Cocktails into the Laboratory (can’t you just see it? Kind of like Frankenstein, only with Rum) and figured out the best way to coax the best flavors out of each recipe. Classics are still the classics, but here you will find new variations on old themes, as well as descriptions on how to master new cocktail blending techniques. This is the best Cocktail recipe book for the science geek in your world. Plus, the look of the book is very cool! 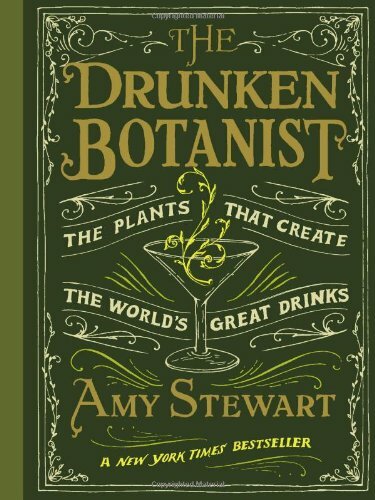 The Drunken Botanist: The Plants that Create the World’s Great Drinks by Amy Stewart is the perfect book for the Cocktail lover who wants to know everything about the source of the alcohol he’s imbibing. More Botany book than recipe book, you get the details of the many different flowers, herbs, trees and even bugs (yes, bugs) used to flavor our alcoholic beverages. There is a lot, and I mean a WHOLE LOT of information in this book. I find that it’s better to read in spurts… But, that said, the book is engaging and interesting. This isn’t some crazy scientific doorstop… the book is written in a way that draws you in, and teaches you more about Elderberries and Agaric (look it up) than you EVER thought you’d want to know. Sprinkled throughout are recipes for using the various alcohols. And there are even recipes for creating your own liqueurs. Highly recommended for your plant and cocktail loving friends. Plus, if the civilized world collapses, people with this knowledge would be very handy to have around. There are many people, and I happen to be one of them, who firmly believe that Beachbum Berry resurrected Tiki Drinks from the sweet, sappy, fake Luau stuff that they had become, and gave them back their rightful place in the Cocktail Pantheon. You only THINK you’ve tasted a proper Mai Tai, until you’ve had a REAL Mai Tai, like the one Trader Vic originally served in his place. Jeff Berry scoured the US for the original recipes to all of the classics. He interviewed bartenders from the old Polynesian Palaces, and got them to divulge secrets. And we benefit from this in the best possible way. In addition to recipes, he tells stories about the bars… some still in existence, but many gone. It’s a trip through mid-century America, when Tiki was cool. (Let you in on a secret… it still is). This is the perfect gift for your friend who loves Aloha Shirts. 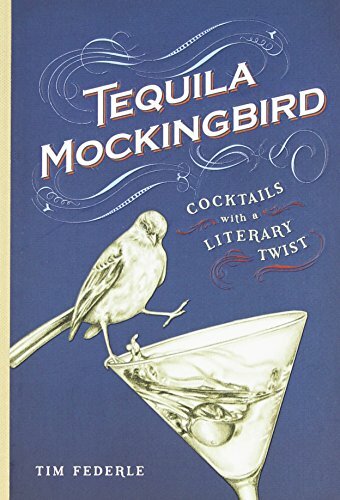 I’m going to start the review of Tequila Mockingbird with a disclaimer… it’s not a great Cocktail Recipe book. 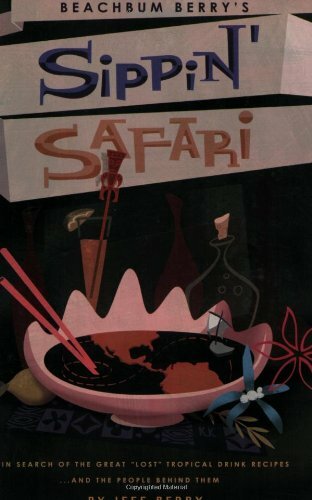 What it IS, is a fun book on cocktails in books. That make sense? Basically, the book is funny and charming and loaded with fabulous anecdotes… but the recipes are a little… meh. This is a fantastic book for a book club with fun titles like “Are you there God, it’s me, Margarita?” and “Love in the Time of Kahlua”. Tim Federle has put together a collection of stories that will make you laugh. (Just maybe, use a regular bartender’s guide for the actual recipes). I was a little surprised to see it marketed in the local bookstore alongside the new Harper Lee book... but not really surprised… and frankly, it’s better reading. Buy this book for your book loving friend! I promise, they will love it. 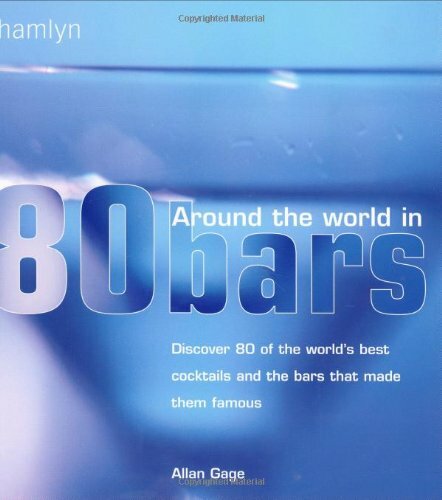 Around the World in 80 Cocktails by Allan Gage is the armchair travel book for a cocktail lover. The pages are loaded with fabulous photos of places where you can go and drink. Each of the 80 Cocktails is introduced by the bar that either created the drink, or specializes in making them. You get photos of the bar, or the location, and a photo of the cocktail itself in all it’s glory. If you have a friend who thinks drinking their way around the world is a REALLY GOOD idea, then this is the book you want. This beauty of a book is essentially a lesson in bartending, along with a history lesson, and a travel guide. It’s big (and special) enough to leave out on the coffee table, but it is so damn useful, that you will have it in your bar, or on your person, at all times. 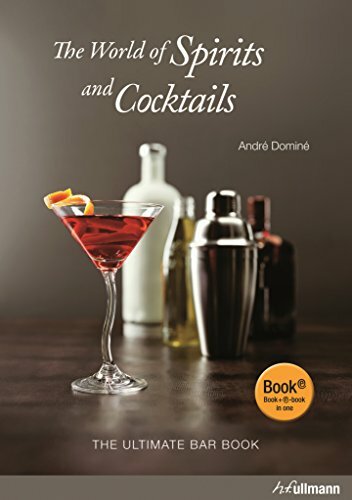 AndrÉ DominÉ has put together an amazing amount of information for the home bartender, as well as aspiring professional bartenders. 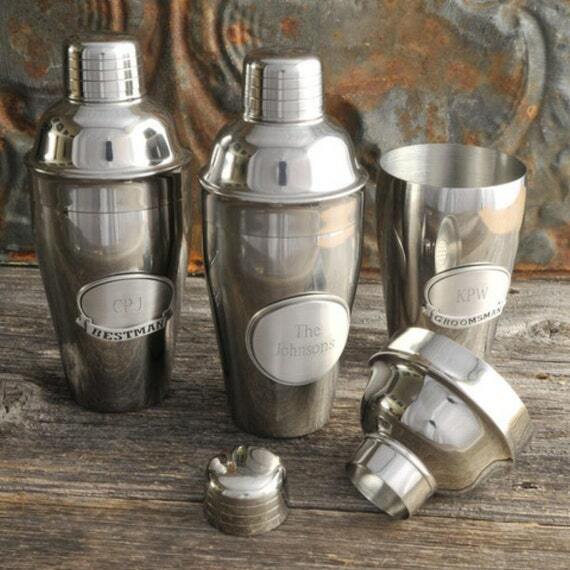 Learn not only the history of different liquors, but also the best uses of them, and the best places to procure them. There are lessons in setting up the bar, both home and professional. Lessons in mixology, and 150 recipes to practice on.Added bonus… there is a photo of each completed cocktail, so you know what it’s supposed to look like! The World of Spirits and and Cocktails truly is the ULTIMATE bar book. 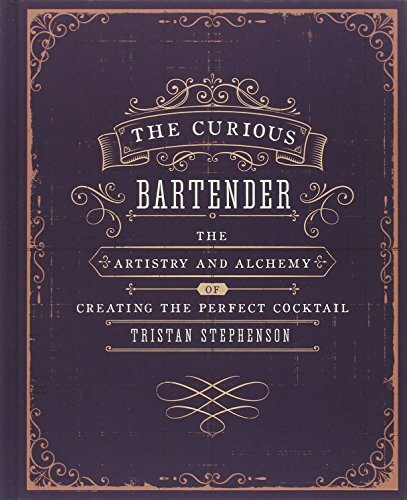 It makes a great gift for yourself, or anyone who loves everything about the art and science of Cocktails.